Make no mistake, I love to play board games for their intellectual challenge and the opportunity to pit my strategic skills against an opponent or two. But along the way of rediscovering board games as an adult, I’ve also become a board game collector. Now collecting things has always been a passion – or obsession, depending on your point of view – for me, but I was a bit shocked when I realized that my library of board games was growing not because I needed new games to play but because I simply enjoyed the idea of adding a certain game to my collection. Though it’s possible I’m just a completionist who must have everything, I’ll try to put a positive spin on the ever-growing number of board games that have taken over much of my house. As a professor of literature, a writer, and a lover of all sorts of artistic enterprises I enjoy acts of self-expression above all else. Creativity astounds me. So though I play games because they are fun, I think I collect games because, like books or films or paintings, they seem to express something by one or more artists. Modern board games are also referred to as “designer games” precisely because of this element of self-expression. Unlike classic games like chess or mahjong, the designer of a modern strategy game or wargame is known by name. Although the designer might have been inspired by other games, he or she is still responsible for the creation of the game and, thus, is able to express a certain worldview or a design aesthetic through the game and its rules. As a collector, this means I can get excited about the next game from a favorite designer in the same way I would be excited by a new book by my favorite author or a new film by my favorite director. However, this element of self-expression is not restricted to designer games. Because many classic games are in the public domain, any company can create their own version. 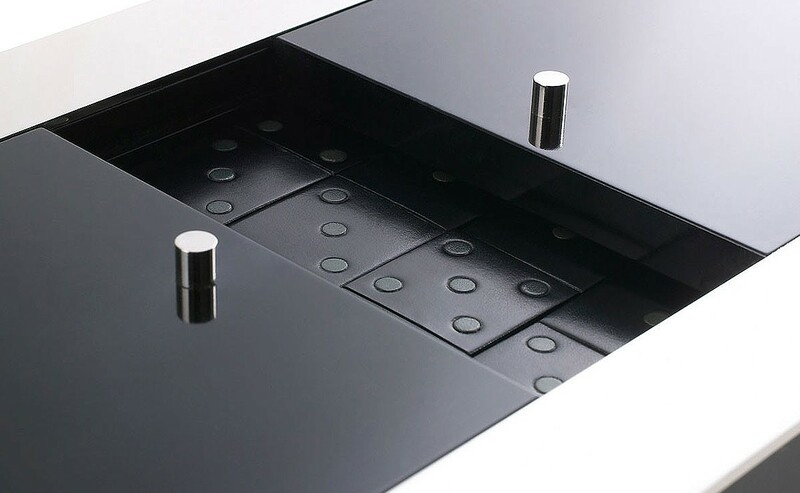 So although the rules of your backgammon set are no different from the rules of someone else’s set, there are a seemingly infinite number of design possibilities available to the manufacturers. This means that an artist can express him or herself through the aesthetics of the set and the consumer can express him or herself through style or colors they choose. An interesting blog post discusses the inspiration that goes into creating a beautiful chess set, the same sort of inspiration one would associate with great works of sculpture or painting. Of course, the self-expression doesn’t end when you purchase the game. We players also get to express ourselves. We express ourselves through the contents of our collections. Someone who collects a wide variety of games is saying something different that someone who collects games by a certain designer who also says something different from someone who collects hundreds of varieties of dice or dominoes. We can also express ourselves as we play: aggressive or defensive, quick or contemplative, prudent or risky. When playing almost any game with my regular game group I can connect most moves that are made to the various players’ personalities. So, in a sense, my collection allows me to learn a little about the brilliant minds who designed the games, a little about the cultures in which these games were produced, a little about the people I play with and a little about myself as well.